Why it is important to discipline your child at the right age? What is the first thing that comes to your mind when someone uses the word ‘Discipline’ regarding a child’s behaviour? For most parents disciplining a child is equivalent to restrictions and punishment. However, this mindset needs to change. Parents also often get asked, “How do your discipline your child”? There is a thin line between discipline and punishment. Most parents are not able to draw that line and as a result, you may find any form of disciplining too harsh when the child is too young. Before you know it, you have a tantrum-throwing, back-talking, fussy child at hand. Discipline gives children an understanding of what is acceptable behavior and what is not. It lends them a framework of guidelines to function without curbing their curiosity too much or aggressive behaviour. Guiding your children and telling them what you expect from them in terms of behavior is crucial. The earlier you start, the better the results. Why should children be disciplined early in life? It helps them understand respect certain rules that have been set and see things with a mature perspective. When you begin to set limitations and use effective disciplining methods early in life, they do not feel guilt or shame if you do so later on. 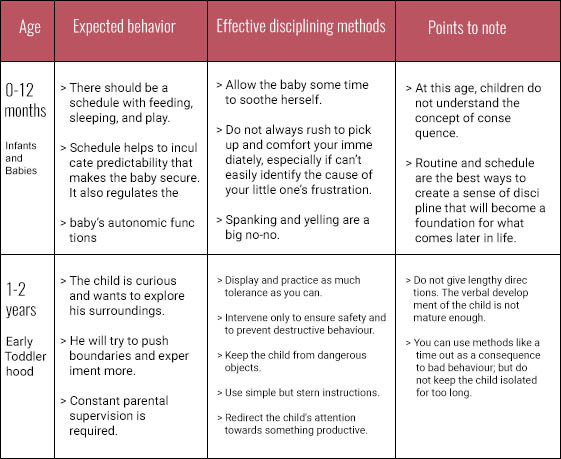 Consistent discipline prevents any undesired behavior and instills a sense of trust in the child. 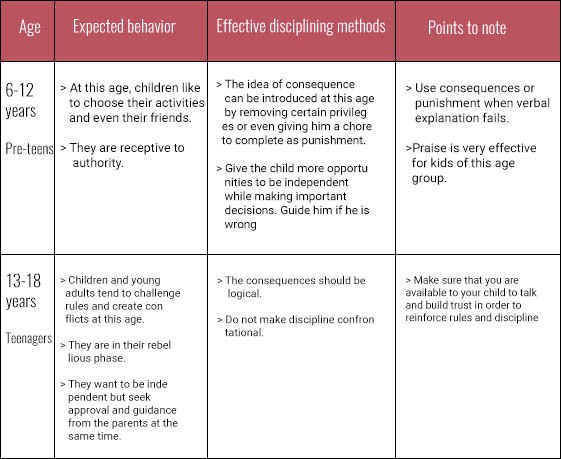 The kind of disciplining methods and the ability of the child to understand good behavior expected of him or her varies with age. This chart will help you understand it better. Good behavior should always be reinforced with praise and appreciation. Concentrate on rules that are most important to you as a parent and prioritize them. 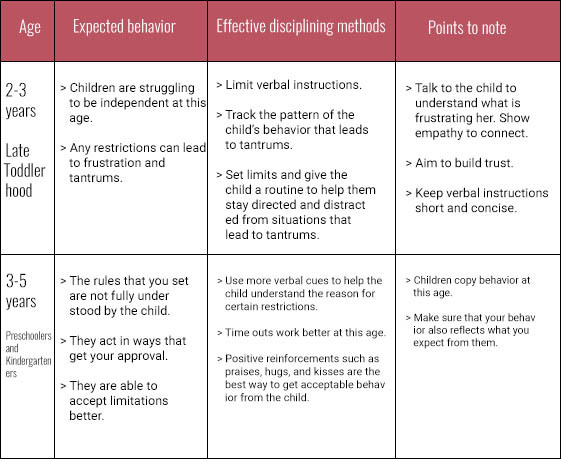 Understand the expected behavior at different ages. Set disciplining goals that you can achieve and then move on to the next. Let the child think about his or her bad behavior with verbal reasoning. Do not resort to shouting or spanking. Being assertive works well with children of all ages. 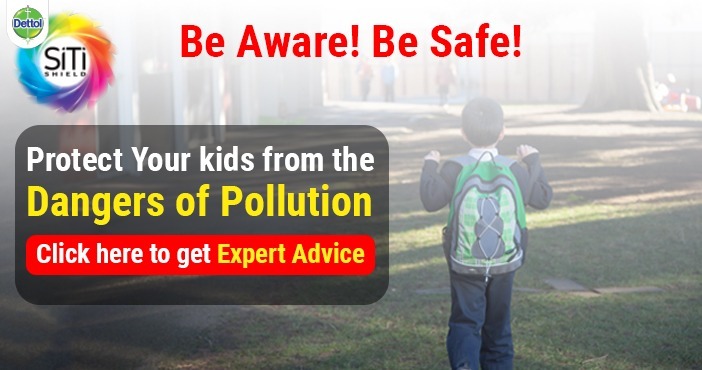 The consequence should be applied immediately after the child misbehaves. Never bring up past mistakes if your child has learned to avoid them. Forgiveness is very important for you to build trust with your child. Disciplining does not always have to end in punishment. For the most part, if you behave in a manner that you expect the child to behave, he or she will mimic it. Set an example and watch your children turn into wonderful human beings that you want them to be. How Can I Feed Almonds To My Baby?